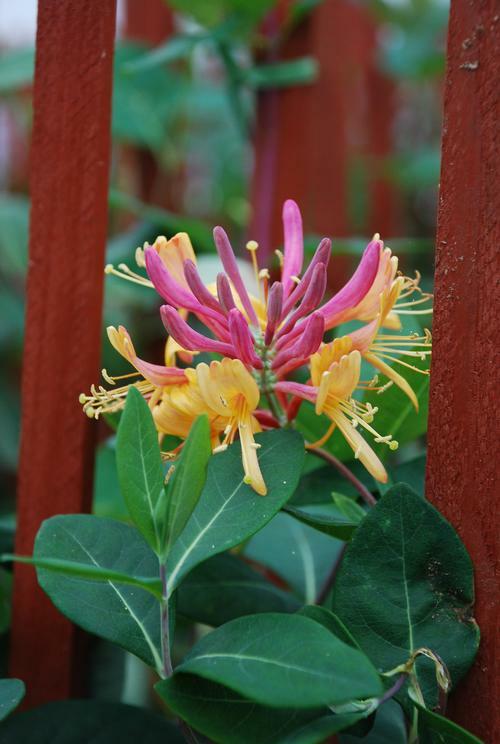 Fast growing Honeysuckle vine with extremely fragrant two-tone flowers, large clusters of deep purple-pink tubular buds open to reveal bright golden yellow trumpets, exceptional long bloom time, red berries persist into winter. Long-blooming with fragrant flowers all summer. Fast growing with twining growth habit. Requires a support structure.